As you no doubt know, we tend not to give away too much detail about the activities we have planned at Dramboree – after all they’re just the excellent metaphorical icing on the magnificent Dramboree concept cake – however this year we’ve got something rather unique and special cued up for our distillery visit on the Saturday morning, and it’s too good NOT to share. Since their takeover & relaunch in 2014 by Loch Lomond Group, the Loch Lomond distillery have been making some ripples in the whisky world with their very popular and well-received Inchmurrin 12yo. 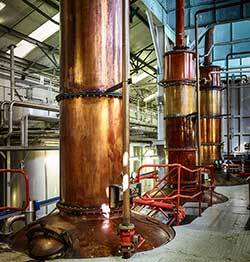 As well as being a producer of malt and grain spirit for some very popular mass-market drinks, Loch Lomond famously makes several styles of malt spirit in their unique stills. 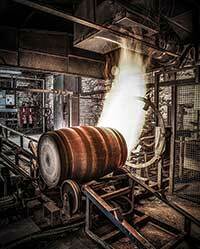 We’re delighted to have the opportunity to be given a bespoke distillery tour & tasting, a look through the on-site cooperage (one of only 4 in Scotland), and to spend time talking to the people that run this one-of-a-kind place. Truly, a rare & unforgettable moment for the whisky enthusiast! Bizarrely there are still a couple of tickets left for the Dramboree 2016 weekend – so act now & don’t miss your chance!